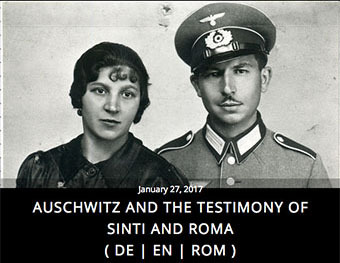 The Archive Section on the Nazi Holocaust of Roma in Europe publishes early accounts by Holocaust victims, such as letters, secret messages from concentration camps or witness statements in courts. These sources have been compiled by the historian Karola Fings and her team of 13 colleagues as part of her project ‘Voices of the Victims’ – a truly pioneering undertaking. The working group in this archive section will conduct research in several archives to find early witness accounts from mostly 1933 to 1945, extending into the mid 1950s. The individual sources from 20 countries will be carefully annotated and contextualised with a background report on the persecution of Roma in each respective country.